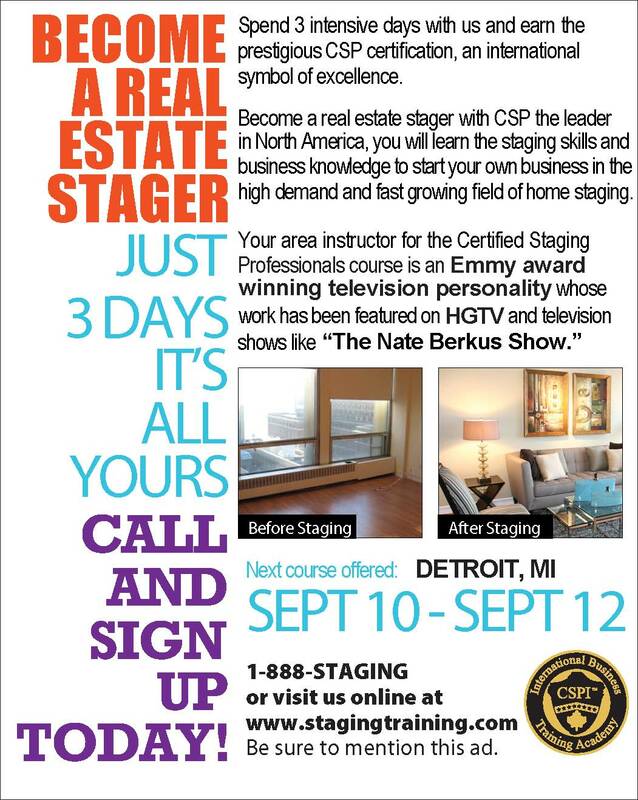 BECOME A REAL ESTATE STAGER: (CERTIFIED STAGING PROFESSIONALS) CLASS OCTOBER 8-10 IN LAS VEGAS, NV! ≈ Comments Off on BECOME A REAL ESTATE STAGER: (CERTIFIED STAGING PROFESSIONALS) CLASS OCTOBER 8-10 IN LAS VEGAS, NV! I had an opportunity to watch Cathy Hobbs in action as the instructor of a CSP (certified staging professional) course. This was the final day of the 3-day course and it was time for her students to apply all that they had learned. This is not the entire method but just a few key areas of learning for her students. On this day, the students are staging a single family home that has been on the market for over a year. As the students work they pause to ask Cathy questions about some of their choices. Cathy answers them but tries to remain an observer to see if the students can recall what they have been taught. Occasionally she interjects with a comment or reminder. The students today are 2 women who have never staged a house before. One is from the medical field and one was in advertising and public relations before becoming a stay at home mother. They both are exploring the idea of a career in home staging. 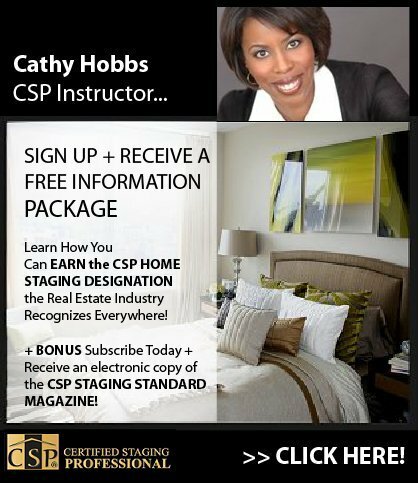 Cathy says that even experienced home stagers can benefit from CSP courses and certification. Some of the advantages include increased marketing credibility, exclusive CSP privileges, mentoring, preferred vendor, free web site and blog. Thank you for joining me for my 4-part series on home staging featuring Cathy Hobbs.